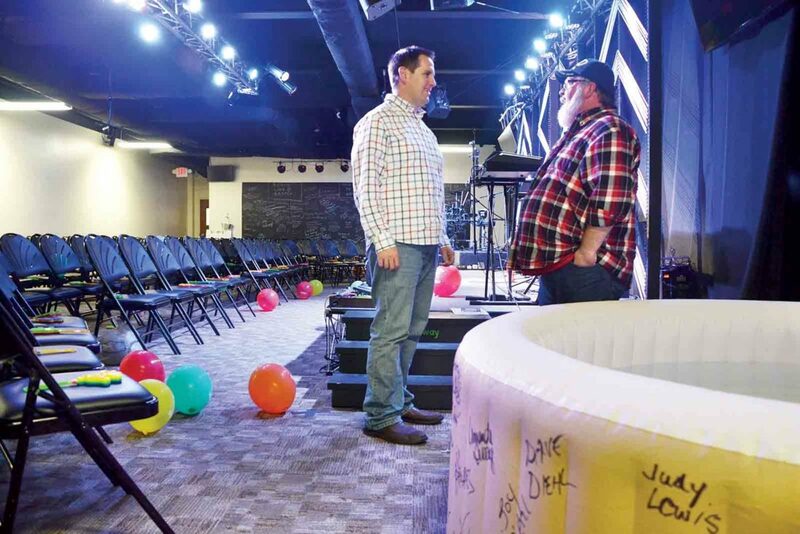 Photo by Michael Kelly Pastor Ryan Miller, left, and assistant pastor Nate Gibbons stand in the worship room of Pathway Community Church next to the baptismal, an inflatable swimming pool bearing the signatures of those who have been baptized there. MARIETTA — God’s mysterious ways put Ryan Miller’s new church and its congregation of 45 in an obscure corner of an industrial park on the eastern edge of Marietta two years ago. It was several months before the first worshipper from the rehab clinic across the highway came through the door. On a Sunday in mid-October, Pathway Community Church, now up to about 100 people, celebrated the end of its second year. The band opened the service with “Celebrate Good Times” by Kool and the Gang, and later the church hosted a tailgate party and flag football games at the clinic across the road, Oriana House. Out of the 15 or so regular worshippers from Oriana, seven were baptized that day. Eric Brockmeier is the administrator of Oriana House and a former probation officer. The facility was established in 2017 to provide court-ordered residential rehab services, and most of his 45 clients are getting clean as a condition of their prison sentences. He’s a carefully spoken veteran of the criminal justice system, but the relationship between Pathway and Oriana is something new for him. You won’t find Pathway Community Church unless you’re looking for it. There’s no steepled building, not even a sign on the door in the corner of the cafe that serves the Veterans Administration center in the Reno industrial park. The Megabites Cafe, which occupies a glass-walled connecting area between the VA offices and the rest of the complex, on Sundays becomes the lobby of the church, with coffee, fresh fruit, cinnamon rolls and other treats set out. The church room itself had to be renovated and now has the look of a retro-industrial club, with dark walls, black ceilings and a stage across one long wall, faced by about 100 folding chairs. The baptismal font is an inflatable swimming pool inscribed with the signatures, in black Sharpie, of those who have taken the plunge. Ryan Miller first became aware of Marietta several years back because his wife is a Marietta native. As time went along, he said, the idea of starting a church in his wife’s home community began to weigh on him, and in the way such things often happen, the couple after a marathon of prayer sessions decided to step out and do it. That was in 2014. “It took two years to plan, and we moved in May 2016,” he recalled. The first challenge was to find a place to worship. In spring of 2017, the Oriana House recovery center began operations right across Ohio 7 from Pathway. A few weeks later, the first Oriana client showed up to worship. Oriana House gets most of its clients through court-ordered referrals as a sentencing condition for people suffering from substance use disorder who need to get clean. They are technically inmates, and the arrangements for allowing them out of the facility are subject to strict rules, Brockmeier said. Assistant pastor Nate Gibbons said he saw it as an opportunity for the church to serve a neglected element of the community. “We met with Randy Shepherd, the lead resident supervisor of Oriana House, and the company’s vice president of operations. They were excited about this. 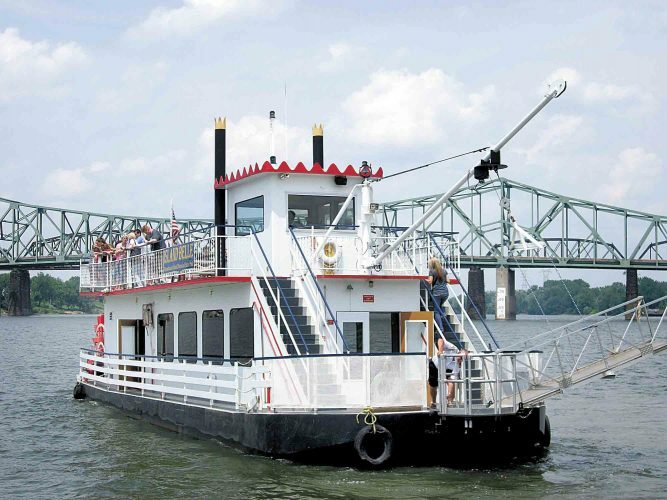 We truly wanted to walk alongside this and partner with them,” Gibbons said. For a church, it’s one thing to contribute to a worthy cause, but it’s another thing to have the cause joining them for worship every Sunday. Attending church is a type of privilege the Oriana House clients must earn, Brockmeier said. Clients are assessed at intake and must wait a specified period of time, at least a few weeks and sometimes longer, before being allowed off-site for a specific purpose such as attending church. They are given attendance sheets and need to be signed in and out by Gibbons, who is responsible for accounting for their time. In addition to getting spiritual nourishment, the Oriana clients also get some physical fortification from the treats laid out on Sundays, which are a big step up from the food they get during the rest of the week. 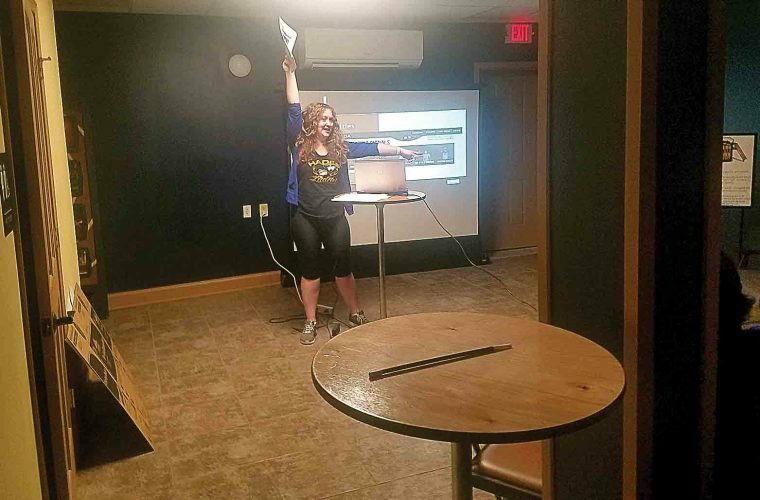 Brockmeier said it’s made a difference for the Oriana House residents, who contribute their time to helping the church set up the lobby and take it down every Sunday. “At that community event Saturday, seven of our clients were baptized,” he said. “Pathway donated enough food for two days, we had that flag football game … it was just a phenomenal, phenomenal event. Pathway has decided to take offerings for Oriana the third Sunday of every month, with the goal of contributing basics such as socks, underwear and T-shirts. Many of the Oriana clients are indigent and come to the facility with little but the clothing on their backs. Brockmeier said the gifts are used as incentives for good behavior. The church wants to become a philanthropic organization, Miller said, in recognition that even in view of what it’s done for Oriana clients, there are other community groups in a better position to provide help to others in need. In addition to the partnership with Oriana, it is now creating links with Phillips Elementary School, the Washington County Boys & Girls Club and Oak Grove Christian School. “Our church, this is about building relationships, with love and generosity so infectious they just want more,” Gibbons said. The church is planning to help Oriana plant a garden in the spring. “Wouldn’t that be great, all that fresh food?” Gibbons said.